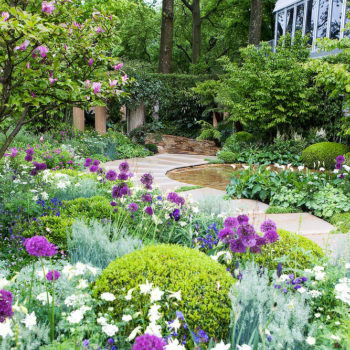 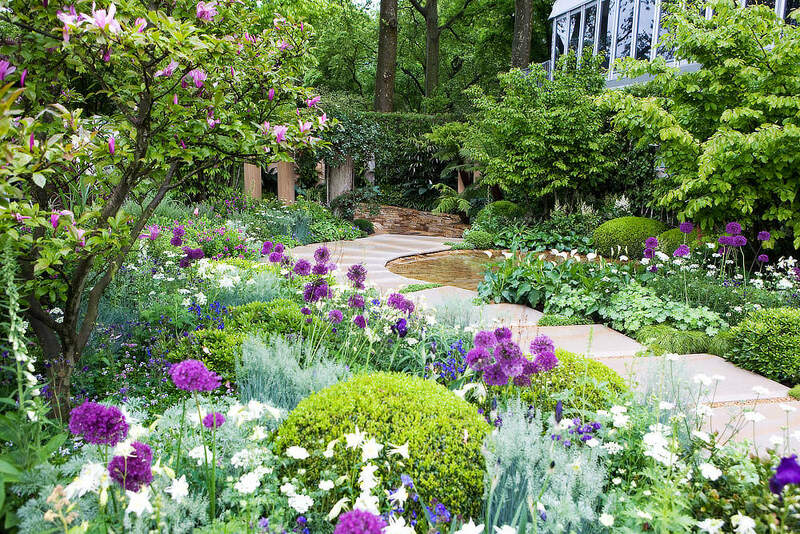 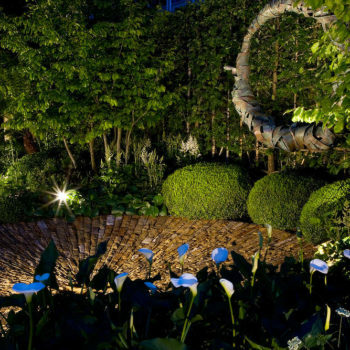 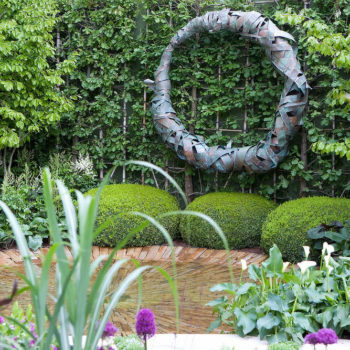 Charlies first foray into designing a garden at the world’s most prestigious flower show was incredibility personal to him. 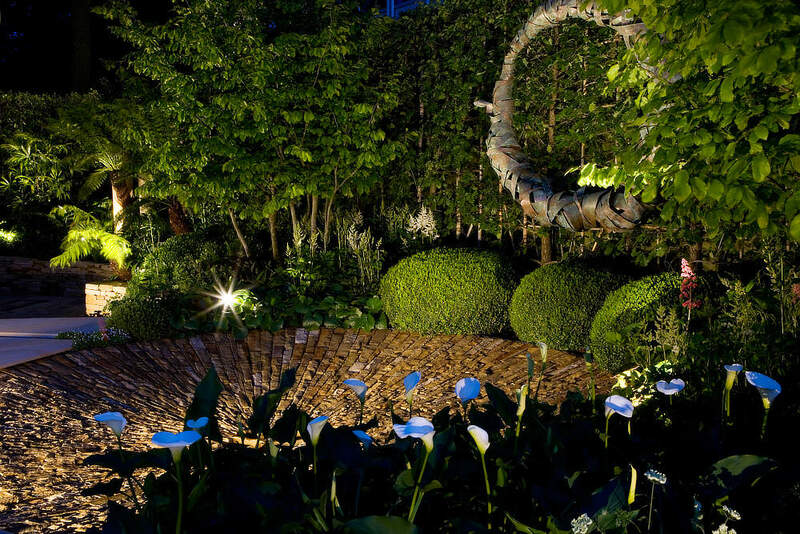 A garden dedicated to his late father, a conceptual space to meet with him and tell him about his life since his passing. 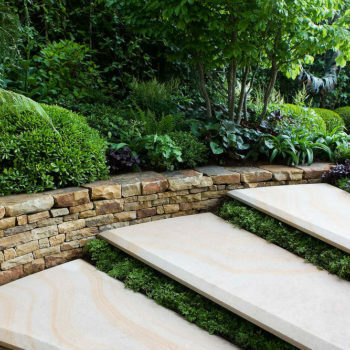 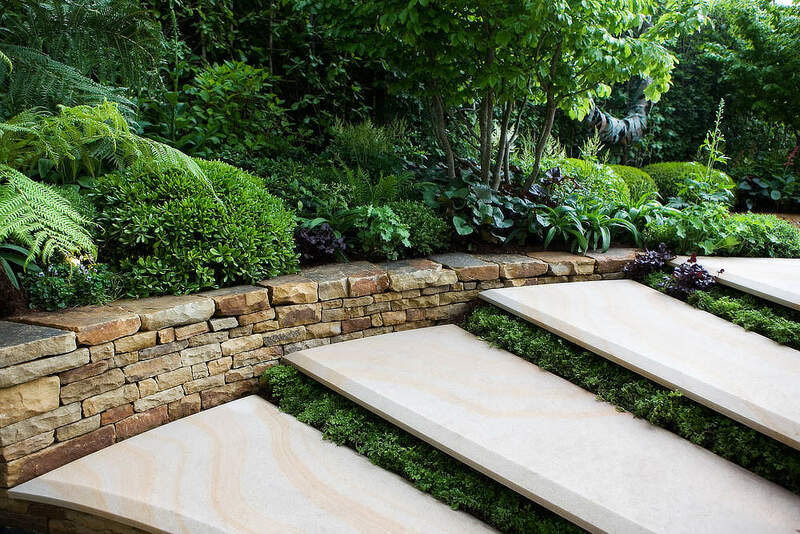 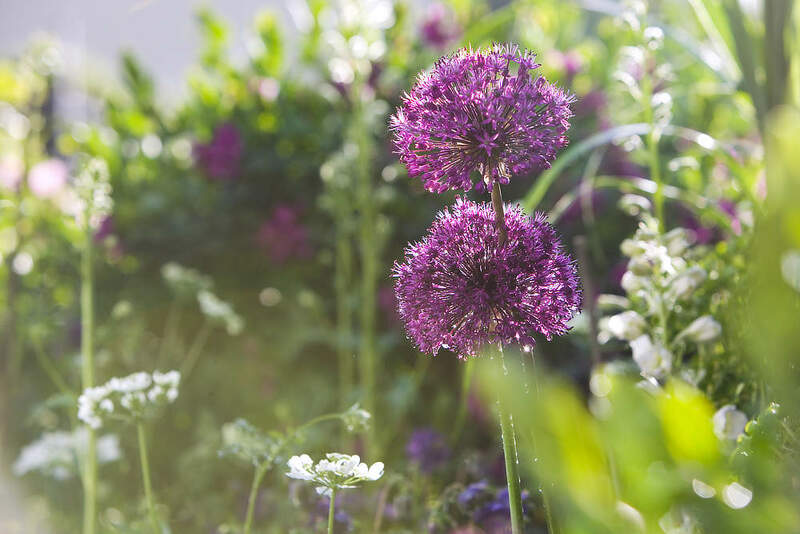 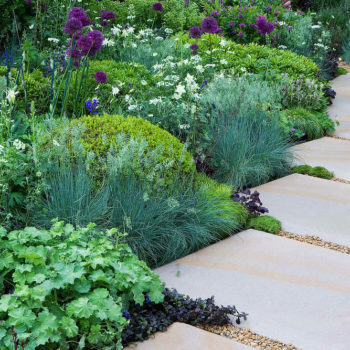 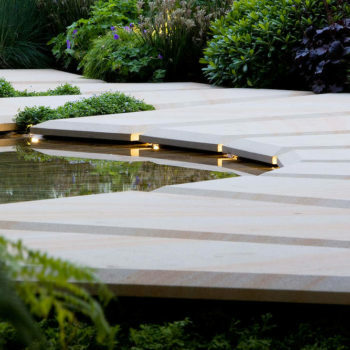 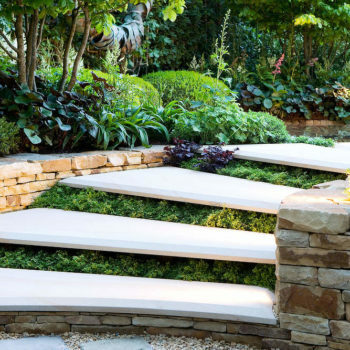 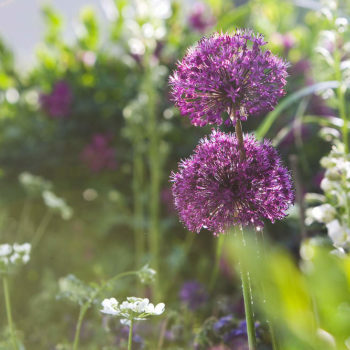 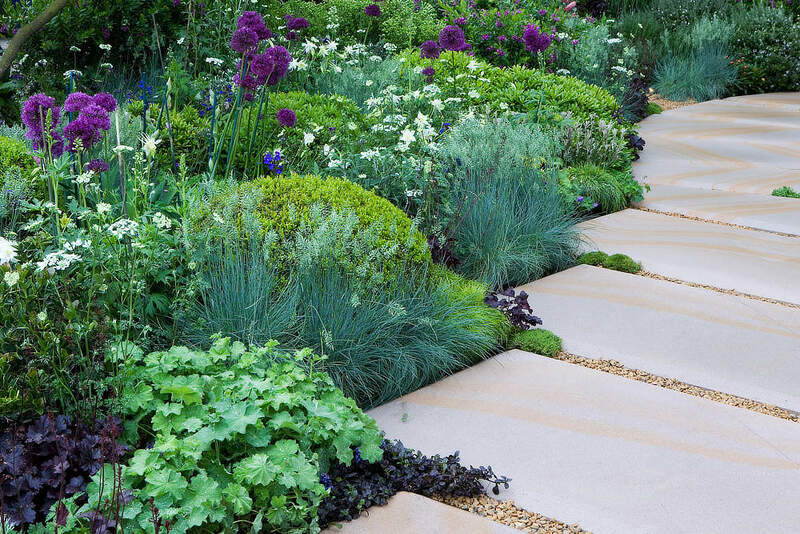 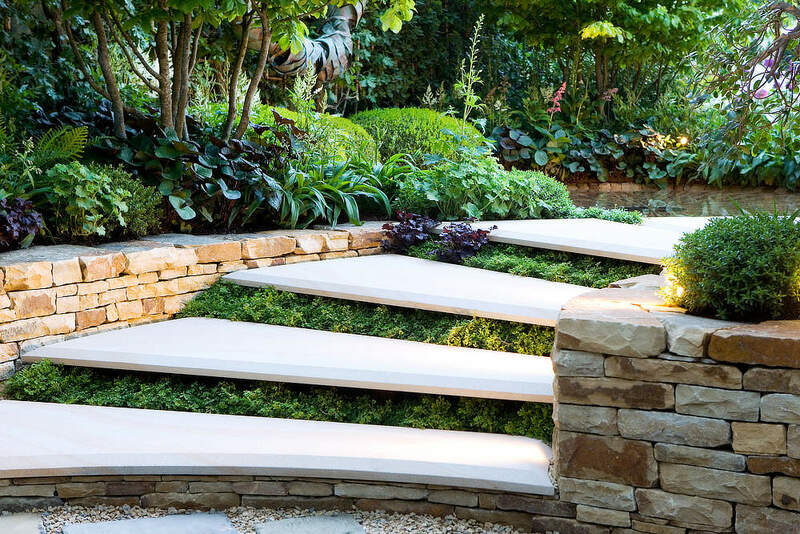 The garden was split into thirds, the first being a walk down a wide sandstone path, large enough to accommodate Charlie, his father and his two young boys showing all Charlie’s favourite plants that he grows in his own garden at home. 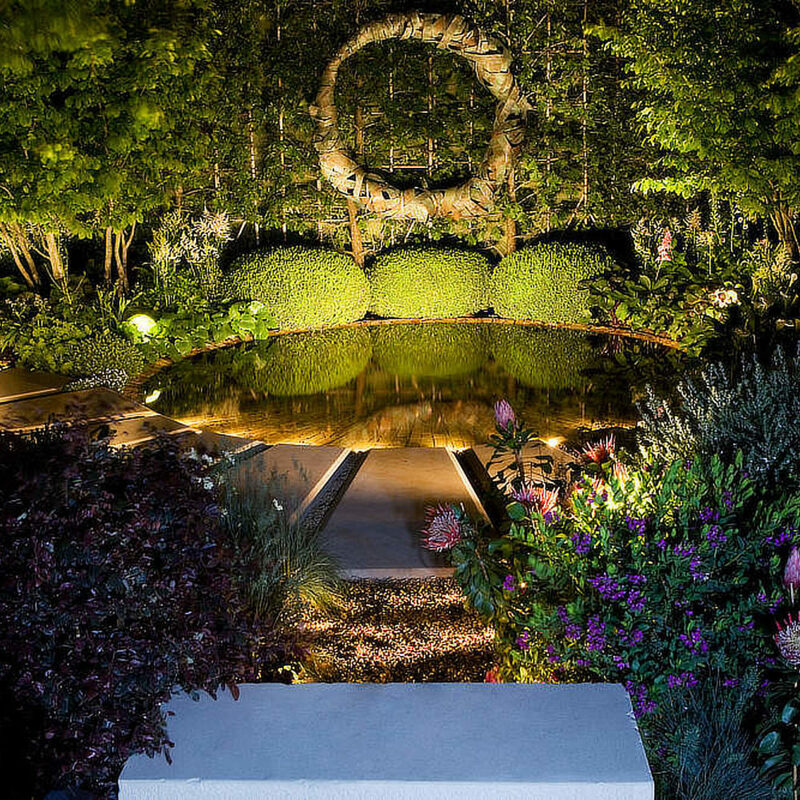 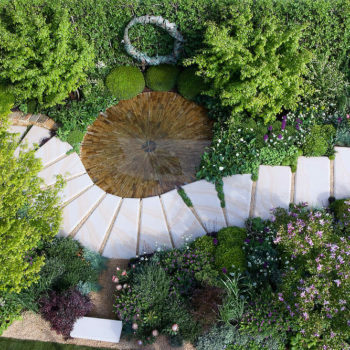 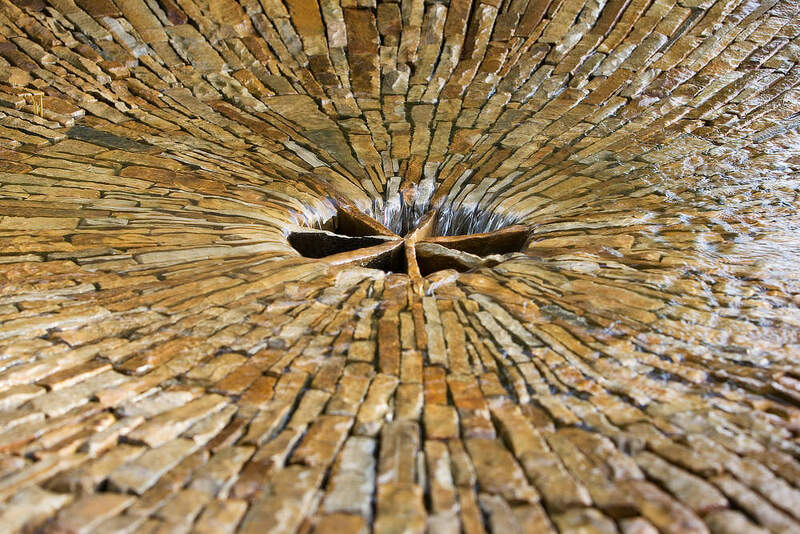 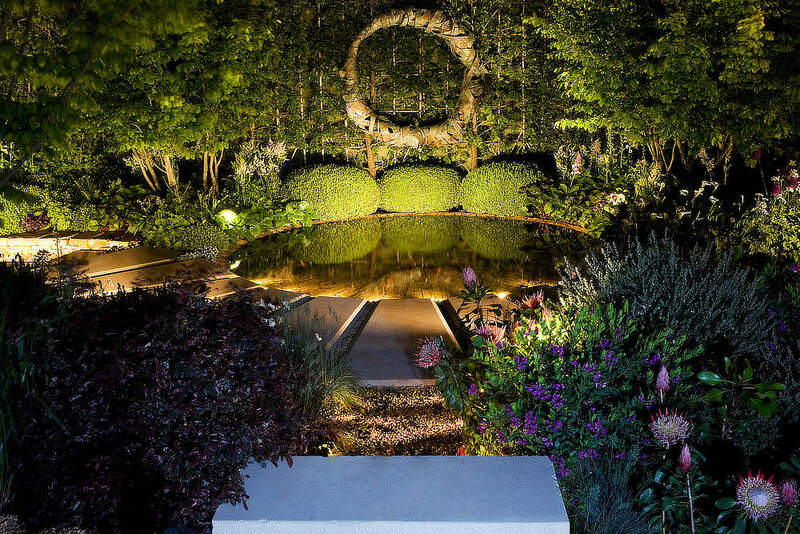 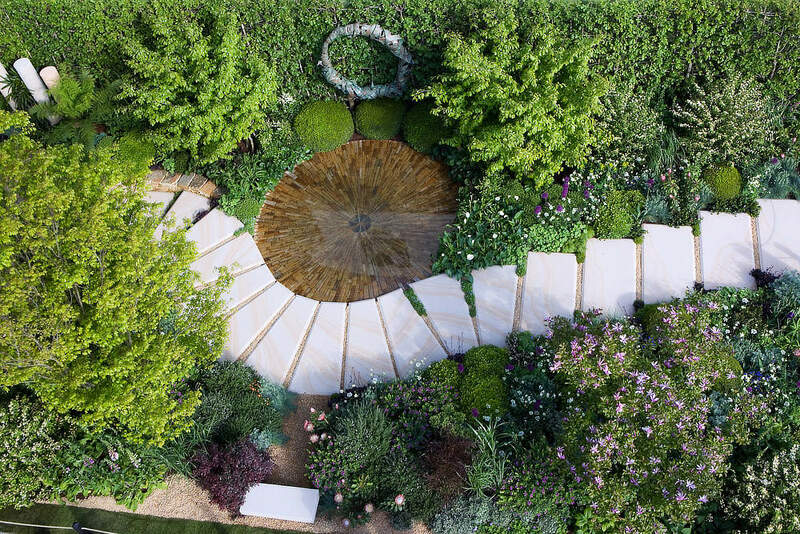 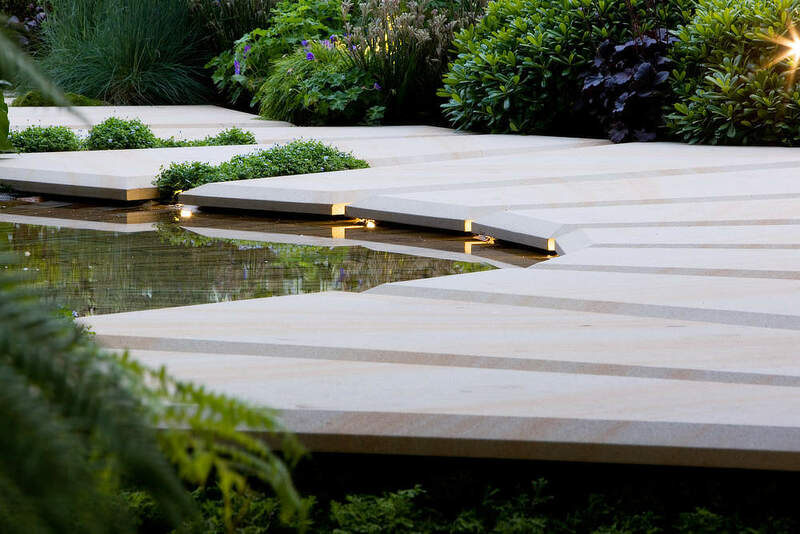 The central third was a water feature design to represent the feeling of loss, a highly complex and detailed stone feature was installed with the finishing touches by Andrew Louden, considered one of the UK’s leading stone masons. 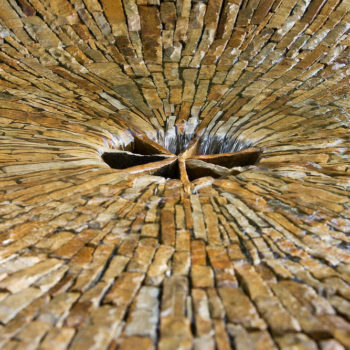 The feature slowly filled and rapidly emptied to give the feeling of loss and to signify the emotions felt when losing a loved one. 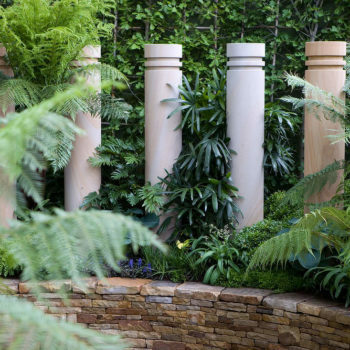 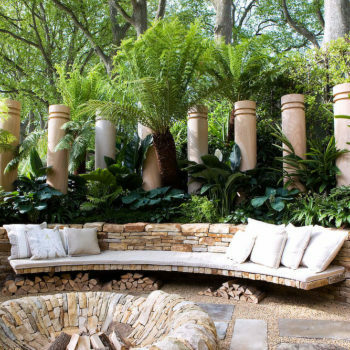 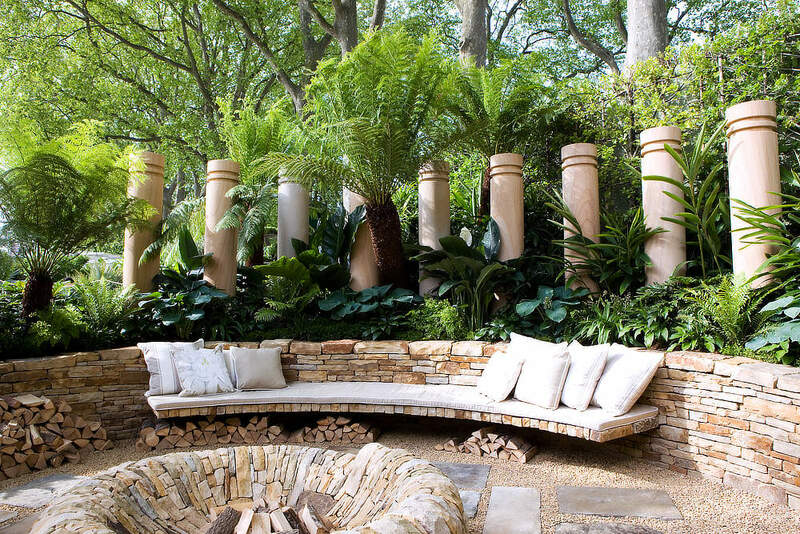 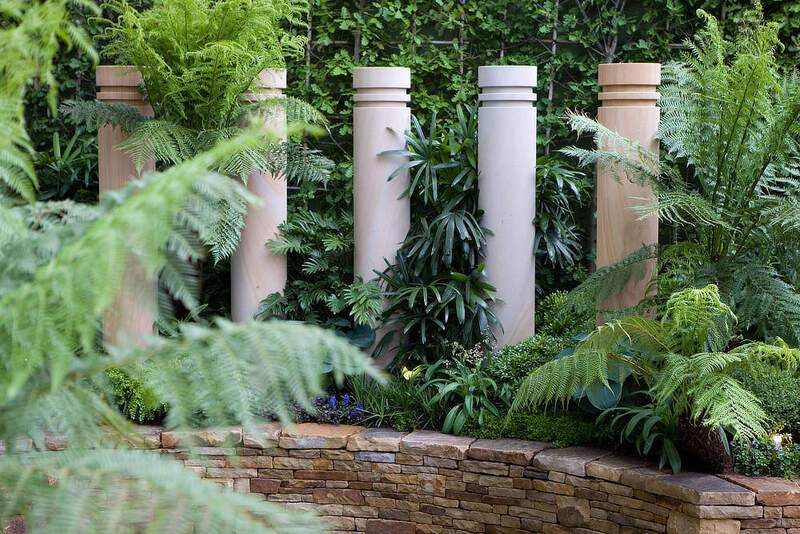 The final third was a sunken courtyard surrounded by hand carved sandstone pillars, each representing an important person in Charlie’s life. 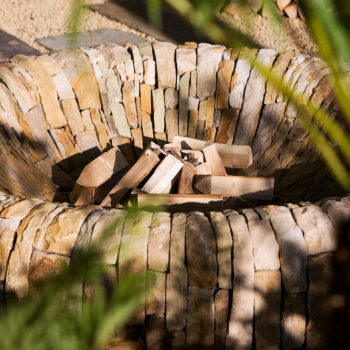 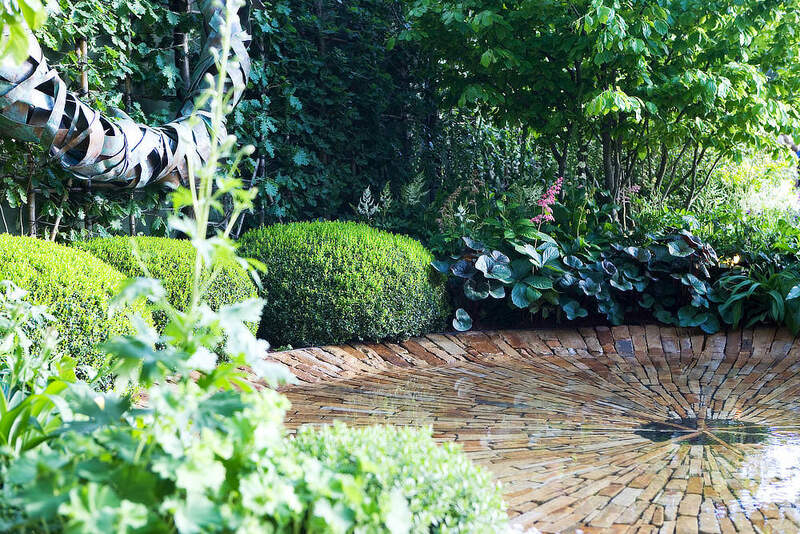 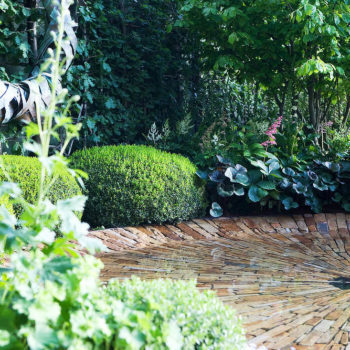 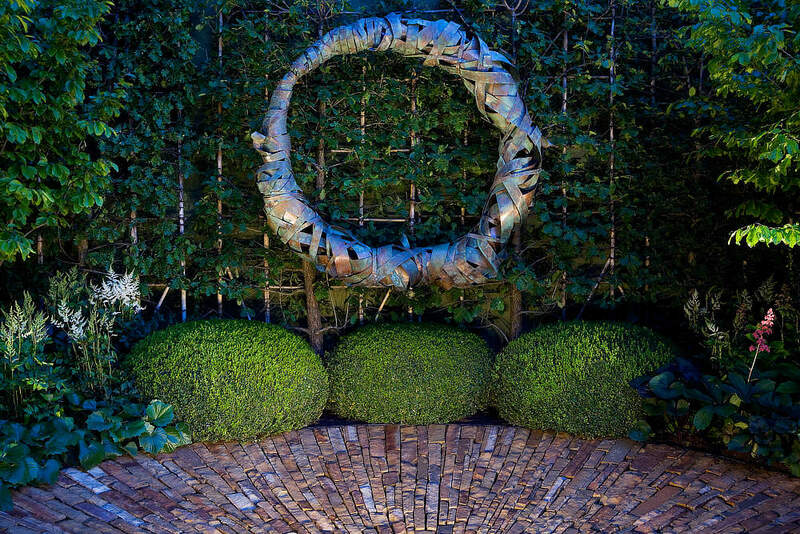 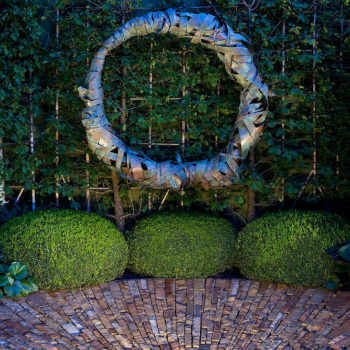 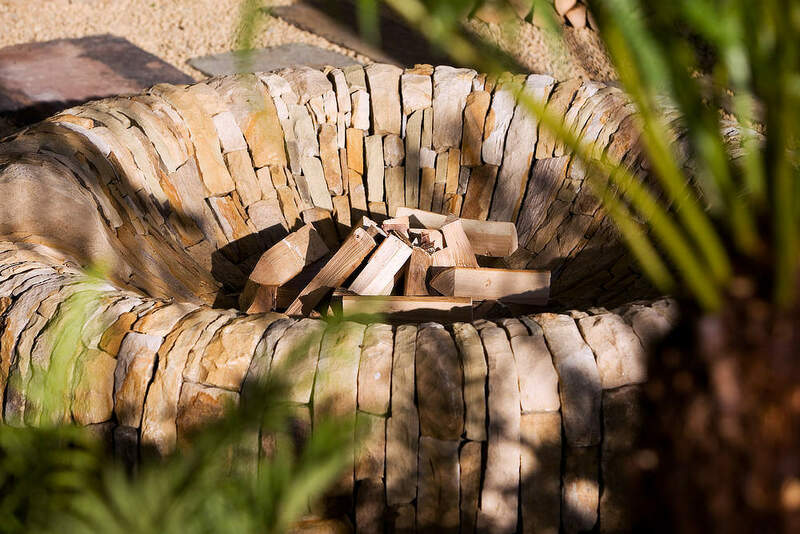 The centre of the courtyard was a stone fire pit representing Charlie’s wife Juliet, the centre of the design and fire in his life. 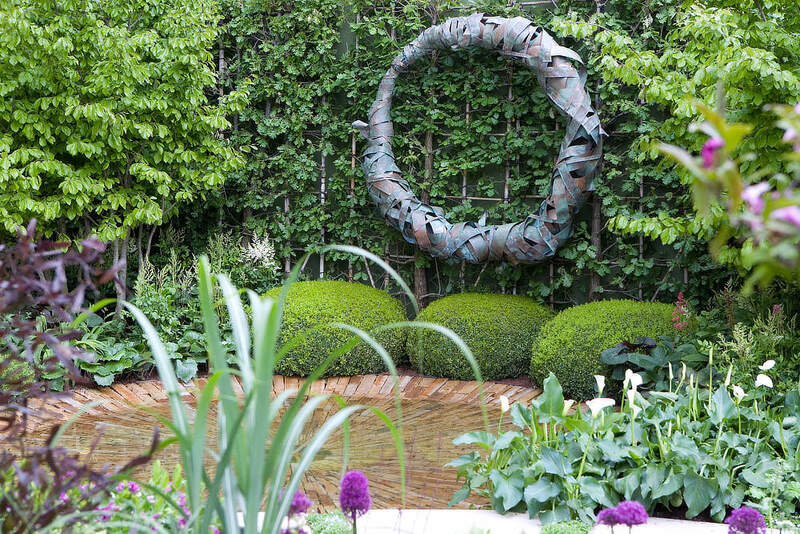 Charlie was awarded the second highest medal possible at the event a Silver Gilt.